The Newtownards Peninsula has long been considered one of the most beautiful places in the country, combining tranquility with beautiful surroundings. The area plays host to a number of caravan parks and self catering apartments and cottages. 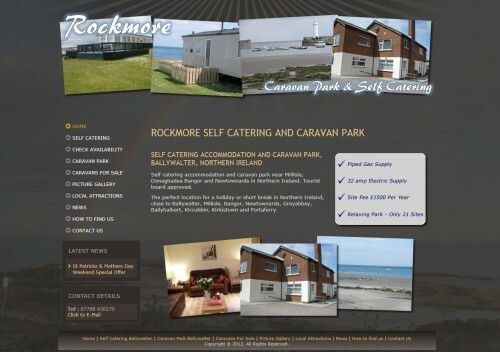 Rockmore have been a client of ours for several years now and we’re delighted to get the opportunity to modernise the website adding lots of interactive features including an availability calendar, blog facilities and photograph galleries.